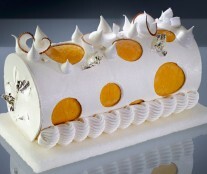 Christmas is one of French pastry chefs’ favorite times to show their creative side. 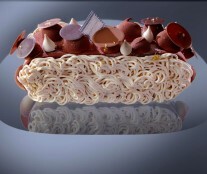 However, it is not just a time for pastry chefs. 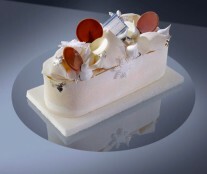 Prestigious ice-cream makers in France such as the Corsican chef Pierre Geronimi, Breton chef Alain Chartier, Jérémie Runel and his friends from La Fabrique Givrée, and soon Glaces Glazed, are proving this. 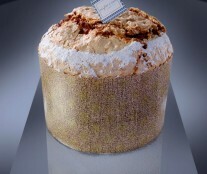 And now Emmanuel Ryon also puts his own stamp with the new Christmas collection of Une Glace à Paris. 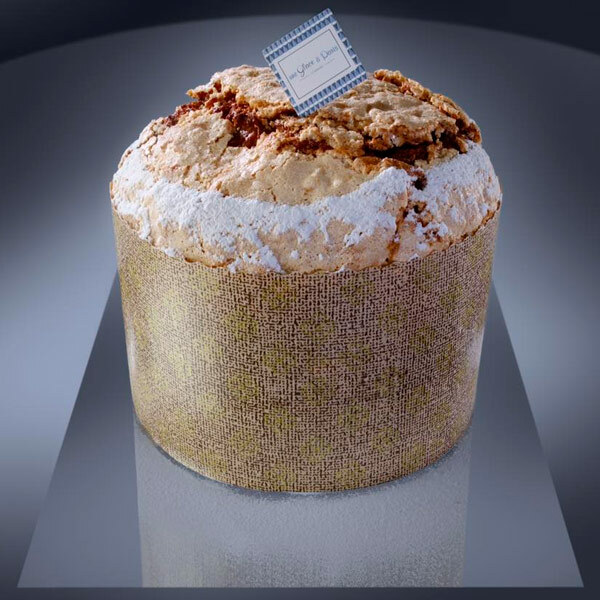 Une Glace à Paris, the space that fuses the sweet aesthetic of the eighteenth century with an avant-garde concept of ice cream, launches its collection of ice cream for this holiday season. Emmanuel Ryon once again demonstrates elegance and virtuosity in the decoration on a rectangular format, a variation of the traditional log in the shape of a tube. Logs occupy a central position in this new series of products. Nuage is one of them. 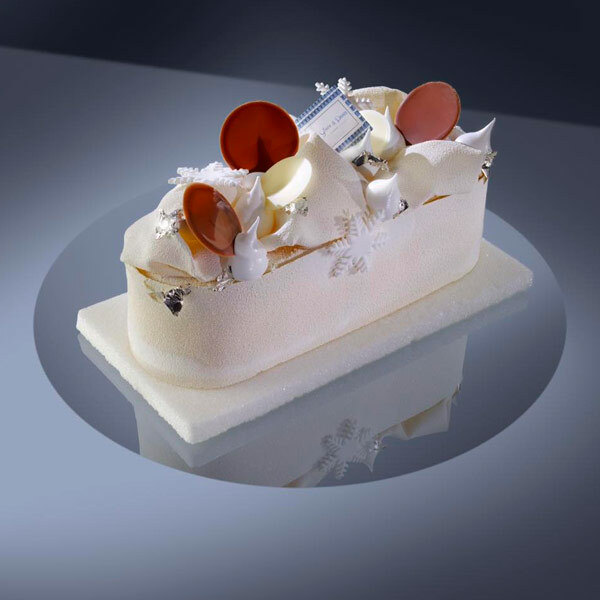 Composed of a crunchy caramel ice cream, sorbet of Williams pear from haute Provence and anise, Madagascan vanilla parfait and caramel, and aniseed-scented almond cake, it has an impeccable presentation. Another of the proposals is Chocolate Trilogy, with 75% Tanzanian chocolate ice cream, a parfait made with the infusion of cocoa grué, vanilla, and caramelized walnuts, all finished with a gianduja ice cream. 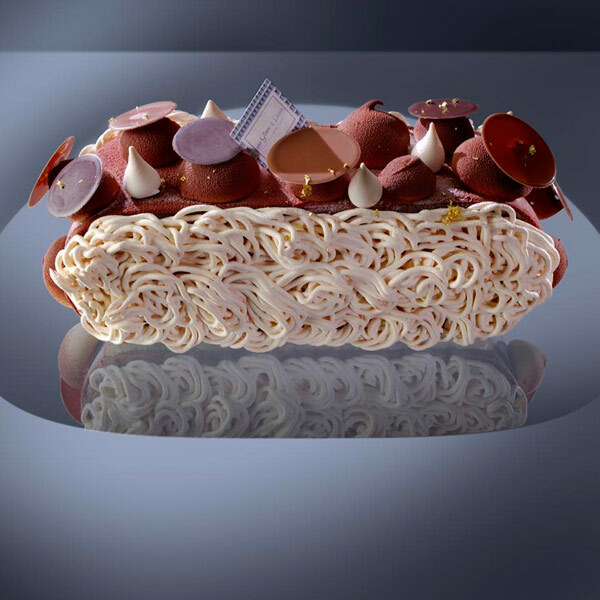 He has also versioned the Mont Blanc and other typical Une Glace à Paris specialties which are in log format, such as Vacherin, with a Madagascan vanilla ice cream, Burgundy cassis sorbet and Toulouse violet meringue; as well as the ever-present Omelette Norvégienne. 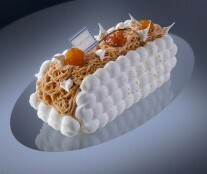 The latter consists of a vanilla Tahitensis ice cream from Papua New Guinea, a cake soaked with Saint James rum, and meringue. Another creation is the Exotic Pearl, which departs from the rectangular shape of the rest of the line of logs. 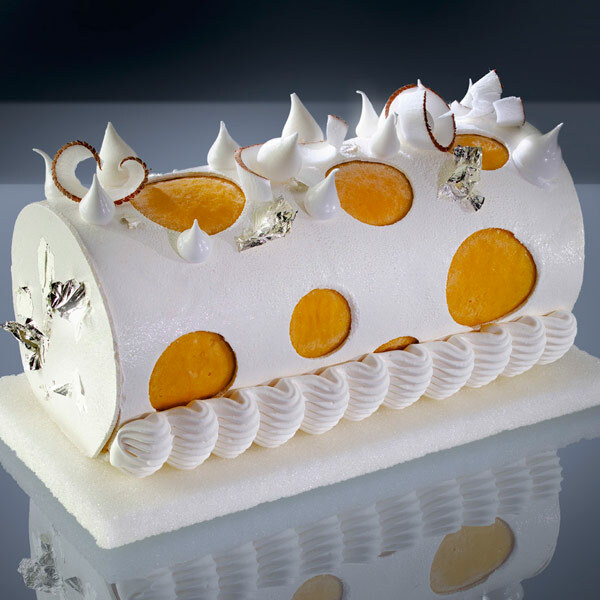 With an attractive almond-shaped finish, it is made with Alfonso mango sorbet, coconut ice cream, pineapple compote, coconut parfait, and Alfonso mango crémeux. 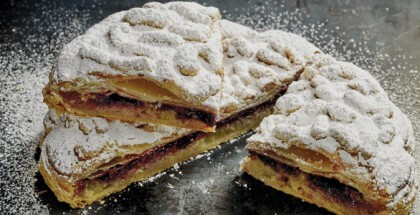 Rounding out this collection of logs is the Millefeuille reference, with Madagascan vanilla ice cream and caramel, light and caramelized baba, caramelized Arlette millefeuille, and crunchy nougatine. 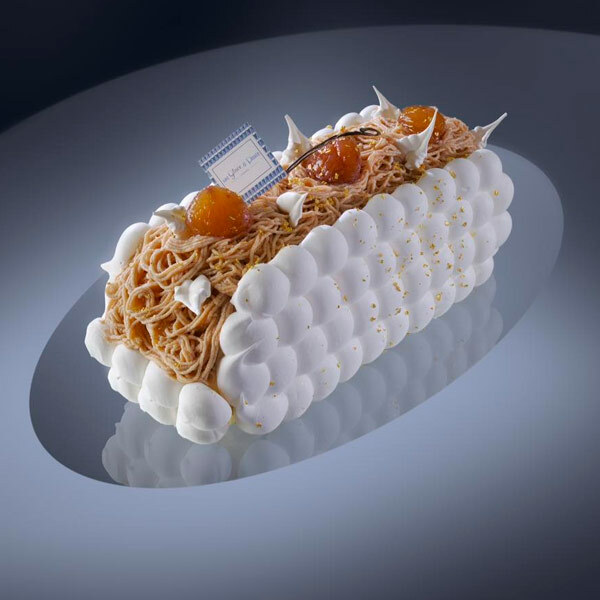 In addition to the logs, Ryon presents a special brioche for the end of the year party, with candied fruit and flavored with orange blossom and vanilla. He also offers his customers an assortment of vacherins, decorated with Christmas motifs.